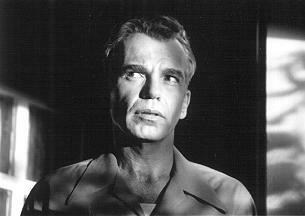 Deadpan Dragnet narration threads Billy Bob Thornton through this black and white maze of odd and unexpected twists. Set in a quaint 1949 California town, the rural pace and straight-faced delivery provide the greatest possible contrast to the quirky brand of humor a la Coen brothers (of "Fargo" fame). As in my website, the black and white design makes a refreshing change from sometimes-blaring full color. The high quality film stock displays little grain, instead both rich depth and sharp contrast. Careful attentive lighting and cinematography join the setting and pace to launch each sidewise punchline with an added jolt of irony. Interestingly enough, the picture was shot on color negative and transferred to black and white says DP Deakins, "B&W film stock hasn't changed in 40 years. In today's color negative, the grain is finer than it's every been." If you happened to have seen a little film called "The Straight Story" you'll no doubt recall a splendid scene in which a 70-year-old man negotiates the purchase of a 3 foot grabber at his local hardware store. The humor is in the syncopated silence and awkward dialogue. "The Man Who Wasn't There" is a macro of that micro. Bored to tears in his small Smallville life, apathetic to the point of barely breathing, Thornton impulsively initiates a scheme that convolutes out of control. Then Thornton passively watches in dumb amazement -- a boy staring at the marbles dropping in a Pachinko game as if he hadn't set them in motion. Coen brothers like to shock and surprise with the most out of the ordinary progressions; mostly they succeed, but by now, some of the old tricks have lost their zing. Additionally, a few derogatory comments are just a tad too realistic, though barely a handful, one is perhaps the most painfully offensive I've heard since "South Park" (and I loved "South Park"). However, I particularly enjoyed Thornton's attention to detail, not that he had passion for his barbershop vocation (he didn't), just that his interests focus elsewhere, "Hair ... it just keeps growing. It's part of us, then we cut it off and throw it away." Though all perform marvelously, Shalhoub's cocky fast-talking lawyer stands out, perhaps because he's the only big-city slicker amidst the small town folk. Influenced by pulp fiction writer James M. Cain, the Coen's choose a schlub for the hero. Ethan says, "Cain's stories nearly always had as their heroes schlubs, losers, guys who were involved in rather dreary and banal existences." For the most part "The Man Who Wasn't There" works, making an enjoyable view (a very strong "B+"), but lacks a powerful send-off. Ethan notes: "It was very entertaining watching Billy Bob and Michael give haircuts during the takes. The sad thing is that Billy Bob actually thinks he's good at it." Tidbit: Frances McDormand and Joel are husband and wife. The Man Who Wasn't There. Copyright © 2001. Starring Billy Bob Thornton, Frances McDormand, Michael Badalucco, James Gandolfini, Tony Shalhoub. Written by Joen and Ethan Coen. Produced by Ethan at Working Title/Mike Zoss.